When Minecraft upgrades to a new version, the ImDeity Kingdoms server will most likely not upgrade immediately. But if your client upgrades, you won't be able to play on the server. 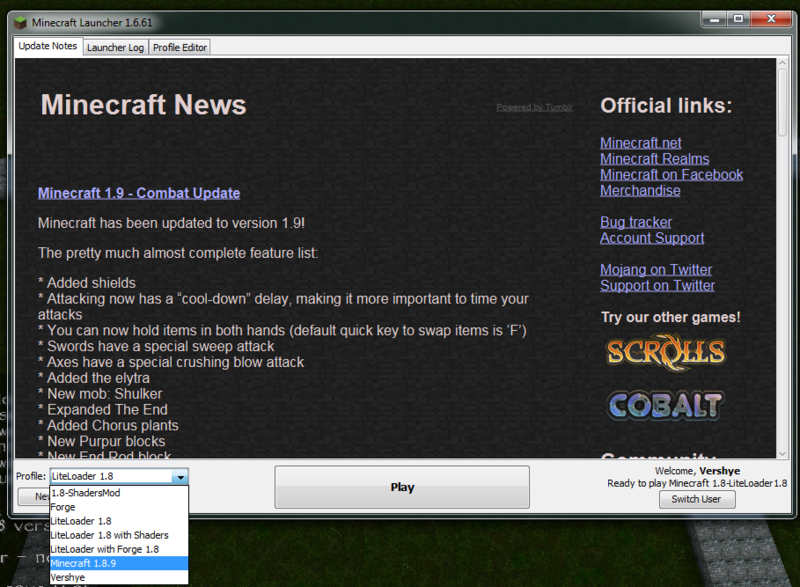 But have no fear, with the most recent Minecraft client, switching versions has never been simpler! Having different profiles on Minecraft allows for the player to switch what version of Minecraft they are playing very easily. With this short guide, you can do it too! 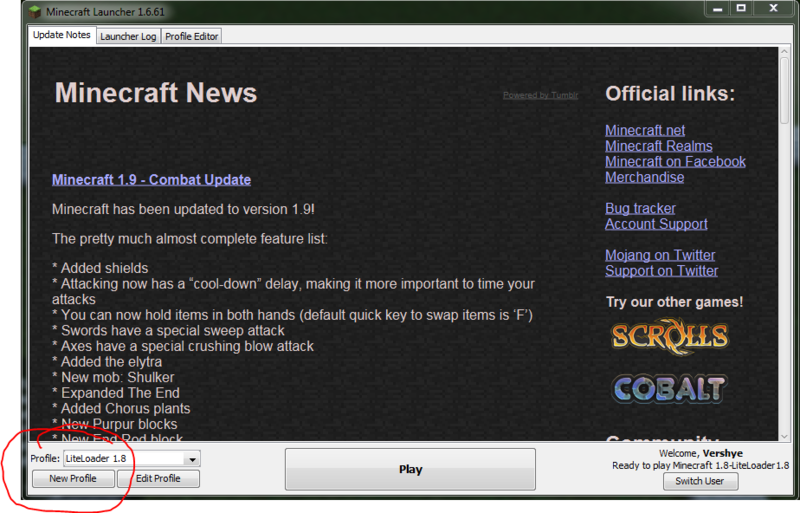 The first step is to load your Minecraft client and click the "New Profile" button in the bottom left corner. Next, you can choose to rename your newly created profile. 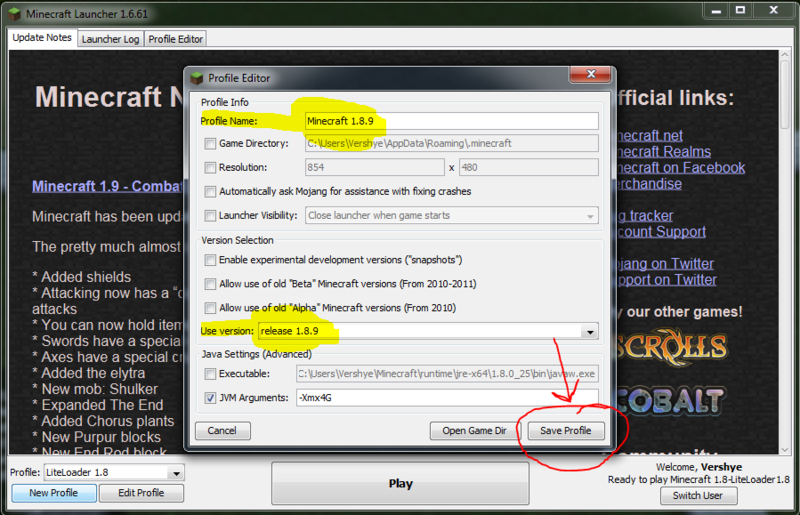 I named mine "Minecraft 1.8.9", so I know what version of Minecraft the profile uses. You can name it whatever you'd like, though. Now you can select which version that you need to play on the server with. There is a drop down menu which lists the versions you can pick from. You should now click the "Save Profile" button in the bottom right corner of the dialogue box. Now that your new profile is set up, all you have to do is select it. Click the drop down menu in the bottom right corner and select your new profile. If you have set it up correctly, it should say your username and the right version you need in the bottom right corner of the client. Why do I need to downgrade? The ImDeity Kingdoms server runs with certain plugins that enhance the normal Minecraft experience. When Minecraft updates, these plugins usually don't work and need to be upgraded by the programmers. In order to keep the Kingdoms running, it is required to downgrade to continue using the plugins needed. We always try our best to update as quickly as possible to the newest version of Minecraft with the fewest bugs in the plugins, so please be patient when an upgrade comes around! You'll know that the server hasn't updated to the newest version of Minecraft by an announcement at the top of the website.